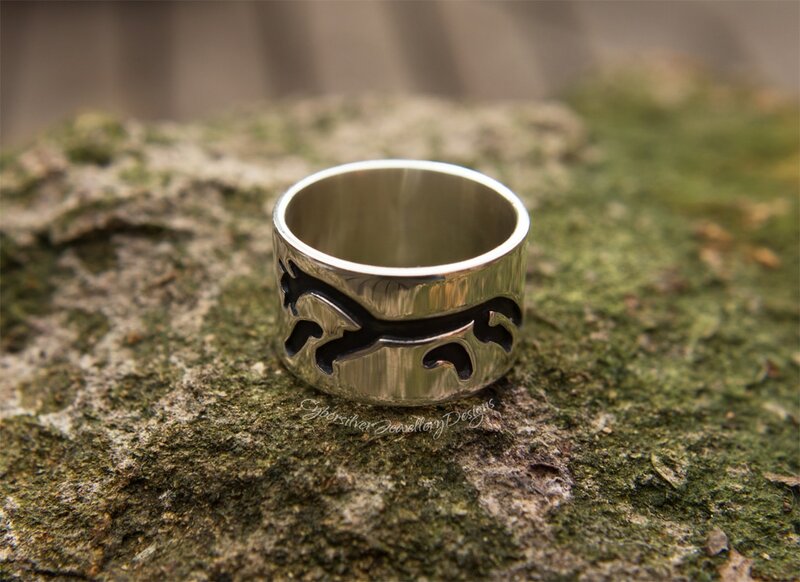 This unique silver ring was inspired by the Uffington White Horse - a place I love to visit. 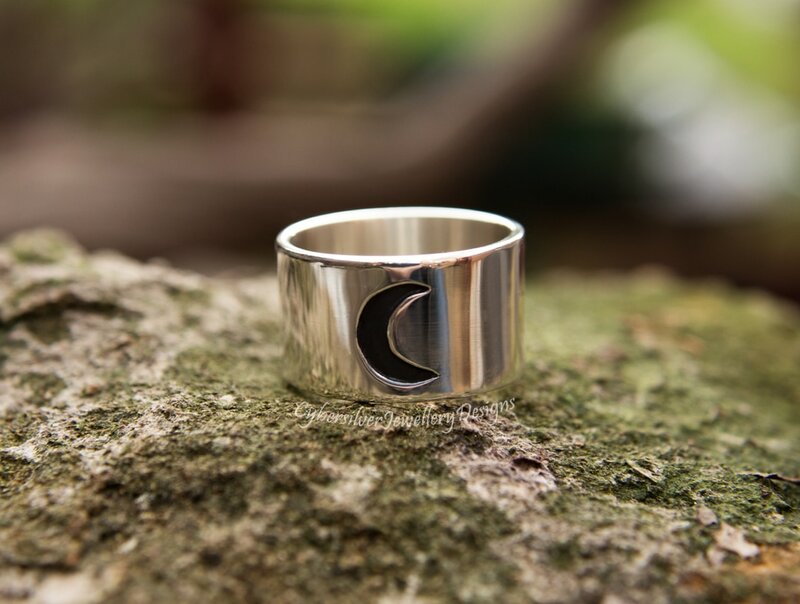 It is entirely handmade by me in my Oxfordshire studio and is forged from thick sterling silver. 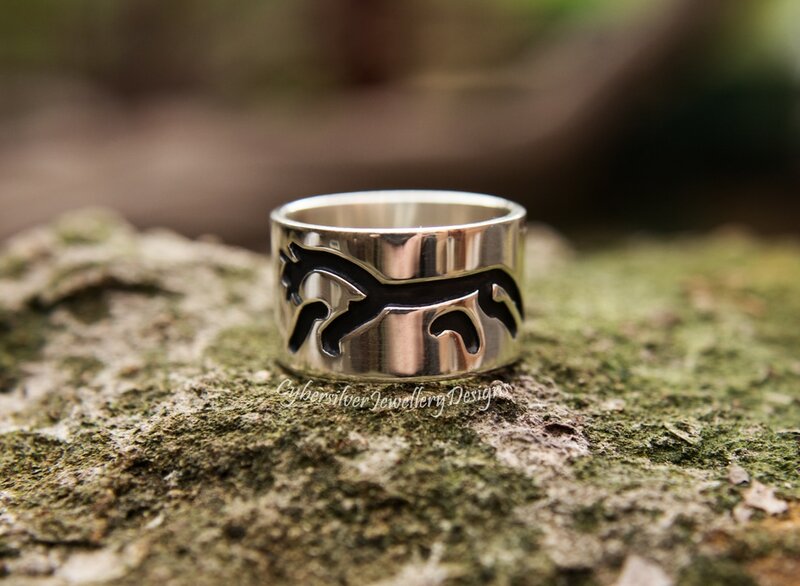 The stylised horse has been cut into the silver on one side of the ring and a crescent moon cut into the other, echoing the way the white horse is cut into the chalk at Uffington. The design is oxidised to bring out the details against the polished silver and then waxed with a microcrystalline wax to help protect the oxidised surface. Oxidisation is a surface treatment that can lighten with wear.